The New Tacoma Singles Committee will meet to plan future adventures. How often do you have an opportunity to be a part of an exciting innovation? Join us at the Tacoma Mountaineers Program Center at 1pm on Sunday, January 14, to help organize a new Tacoma Mountaineers Singles Activities Committee! We will aim to provide an opportunity for single Tacoma Mountaineers to come together to share outdoor experiences. We will initially focus on scheduling day hikes and expand to other activities as interest is shown in them. If you want to create an opportunity to hike with single Mountaineers, you don't want to miss this meeting! We will have a potluck before getting down to business - please bring a dish to share, and RSVP. 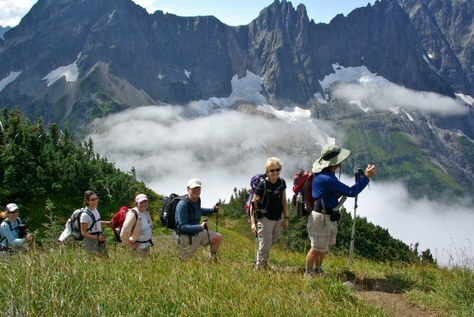 When the Seattle Mountaineers Singles Activities Committee organized in 1971 (called the "swingles), it grew to become one of the largest committees in The Mountaineers, scheduling day hikes, backpack trips, car camps, park potlucks, folk dancing, and volleyball. Many long-lasting friendships were formed. The Tacoma Singles Activities Committee has the opportunity to create the same experiences for its members. We look forward to seeing you on January 14!